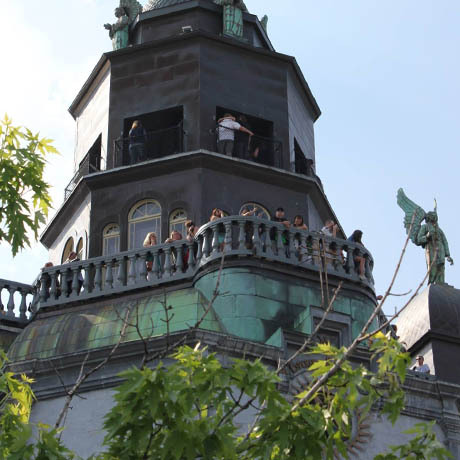 The lookout atop the Notre-Dame-de-Bon-Secours Chapel is an ideal place to start your visit to Montreal! 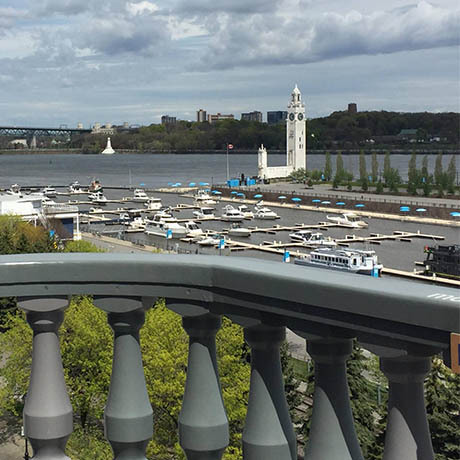 Set in the heart of the city’s historic district, it offers a view that lets visitors quickly grasp the history of a site that long welcomed newcomers, and where the first Montrealers settled. 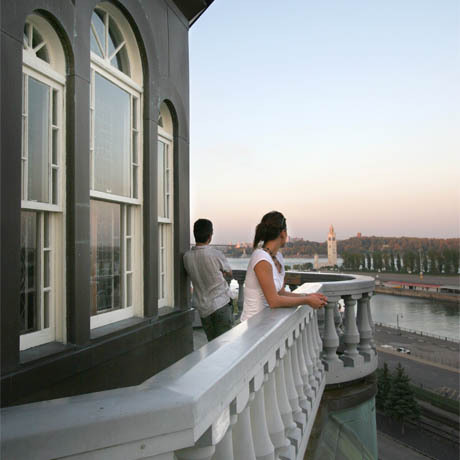 For just $7 (for all), visitors can stroll around the superb lookout atop the tower of the Notre-Dame-de-Bon- Secours Chapel, to enjoy an exceptional view of the Old Port, the historic district and downtown Montreal. They’ll also have access to the Salle de la mer, where they can marvel at the chapel “up in the clouds,” used for private ceremonies since the late 19th century. The lovely old stained-glass windows in the Salle de la mer are by Delphis-Adolphe Beaulieu. There are also interpretation panels recounting the hazards of travelling by sea in Marguerite Bourgeoys’ day. 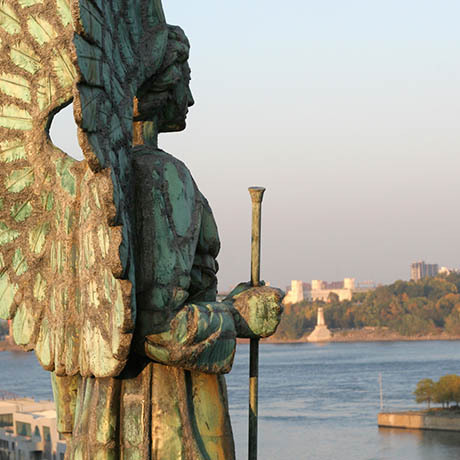 Something even many Montrealers don’t know is that the statue overlooking the Notre-Dame-de-Bon-Secours lookout is the “Lady” mentioned in Leonard Cohen’s song Suzanne («And the sun pours down like honey of our Lady of the Harbour»). For this exclusive evening, you and your guests will arrive around 8:30 p.m. and enjoy cocktails in the unique setting of Montréals oldest stone chapel. 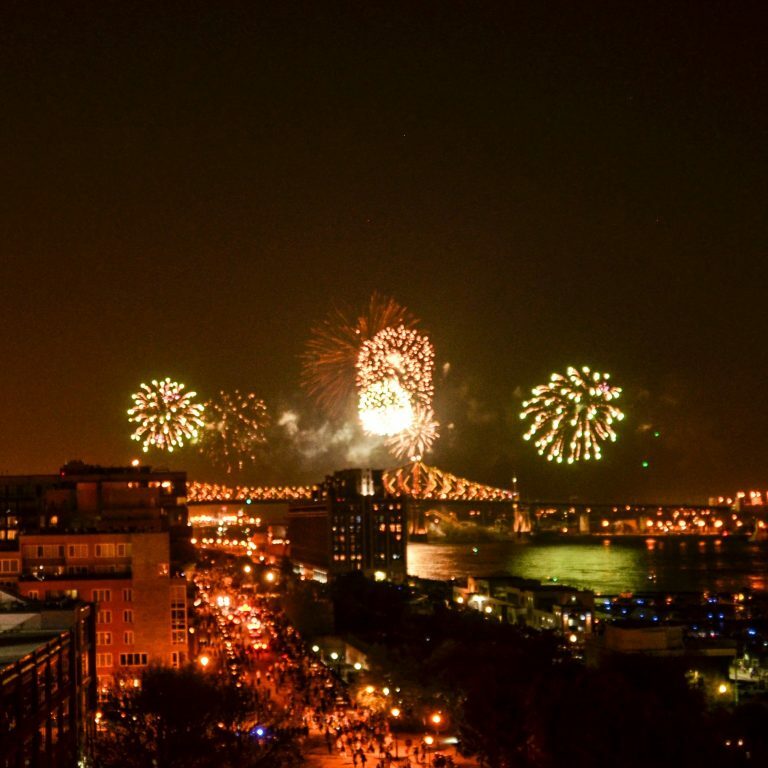 Our interpreter-guide will then accompany your group into the 18th-century stone crypt and introduce you to the Bonsecours archaelogical site and its 2,400 years of history, before you climb to the lookout high up the chapel tower for a fabulous view of the 35th international fireworks competition, starting at 10 p.m. 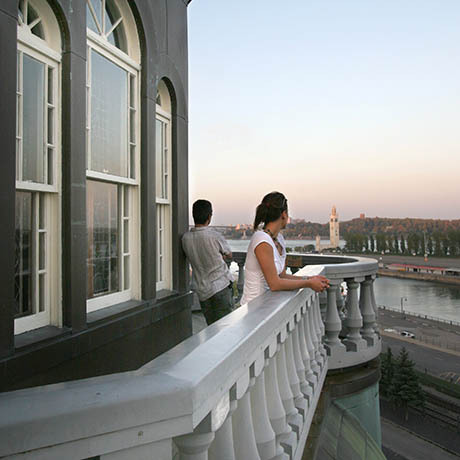 Cost : $45 per person, including two glasses of bubbly and snacks, an interpreter-guide and an event co-ordinator. 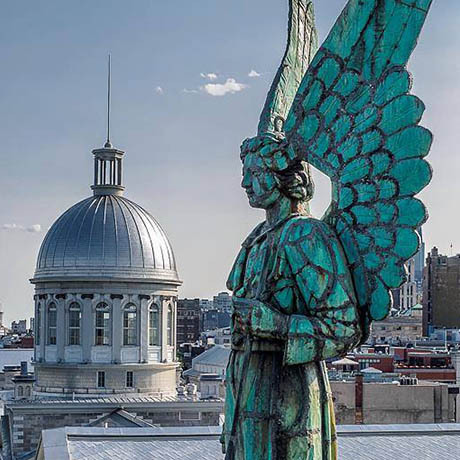 Would you like to share a warm summer evening with the famous angels atop the Notre-Dame-de-Bon-Secours Chapel? If you're looking for an intimate and unusual venue, the lookout of the Sailor's Chapel, dating back to 1874, is the perfect choice. Call us today for details on the packages available for this exclusive rental opportunity.